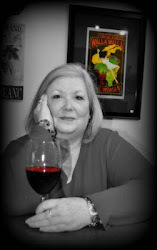 Wild Walla Walla Wine Woman™: Plumb Cellars: It's Damn Straight Wine! I mean - - come on! What else would you name a winery where the majority of the co-founder's are in the construction business and interior design and decorating business? Plumb Cellars, of course! Plumb Cellars was created by a Walla Walla group of friends who love their wine: Margo and Gary Kagels, Edie and Dale Johnson, Crandall Kyle, Chip Madsen, Taylor Sokolowsky, and Meagan & Judah Anderson-Pira. In 2006, Meagan Anderson-Pira, along with the rest of the wine-team, created their first vintage of their flagship red blend, "Damn Straight." If you are wondering about Meagan, let me tell you, she comes from good winemaking genes. Dr. Miles Anderson, co-owner of Walla Walla Vintners and founder of the Institute of Viticulture and Enology at WWCC, is her father. This is a serious winery, as they have even planted their own vineyard. I understand that one of their co-founders was adamant that all of the rows were "damn straight" and all the vineyard stakes were - - well - -plumb! Obviously, the adamant co-founder was one of the construction dudes. At this time, Plumb Cellars has released a Merlot from Birch Creek Vineyards, a Cabernet, and of course their flagship red blend, Damn Straight - 2006. 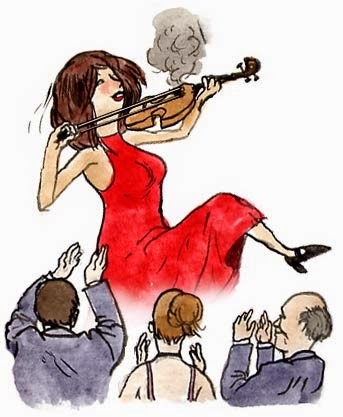 I opened a bottle of the "Damn Straight" Wednesday evening. It's a blend of 40% Merlot, 30% Cabernet Sauvignon and 30% Cabernet Franc. As a big fan of Cabernet Franc, I could detect it right up front - that herbaceous quality that I enjoy and look forward to. At my first glass, the wine seemed complex and either my palate may have had an off night or the wine needed to breathe more, but I couldn't quite define what this wine was about - - until the second night I revisited it. WOW! Last night I defined it! It was very robust, lively and so much flavor came through. There were flavor notes of dark cherry, mocha, brown sugar and a bit of the ol' cigar box. And the notes that I love about Cabernet Franc still shined through. I thoroughly enjoyed this wine and winced later at the empty glass and empty bottle. For a wine that is marketed as a red table blend at $26, I would recommend to give it respect like it's a $36 wine. Take the time to decant the wine and give it some air. Also, pair this wine up with food. There is no doubt it is going to stand up and pair well with really rich and hearty appetizers and entrees. 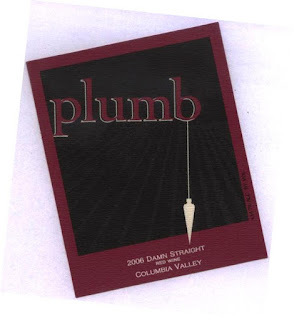 Yup, there's no doubt about it - - Plumb Cellars Damn Straight Red Blend - 2006, is a damn fine straight wine! Looking forward to coming out that way next year for WBC and getting to experience wineries like this first hand! Thanks for stopping by. And the wineries are looking forward to the WBC, too! Another great post, creative and fun.